Unicorns discovered in Canada! You believe that, right? At least one person does…and the video is proof. 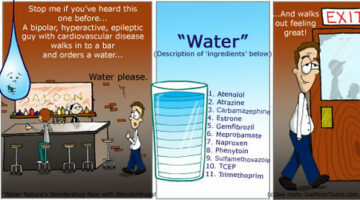 This clever cartoon illustrates just how IMpure our water really is. 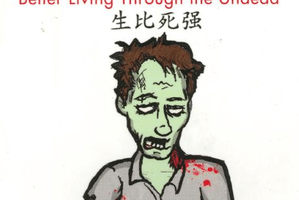 Scary facts indeed. Two wild foxes find their way onto a trampoline then wrestle, play, and jump on it. 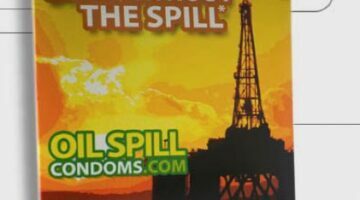 Funny Quiz: Oil Spill, Seagal, or Van Damme? New FireFox plugin ‘spills’ oil over all the words BP, British Petroleum, etc in your browser. Who Knew The Death Star Was So Eco-Friendly? The Death Star: Your weapons are depletable, ours are renewable. Take that, rebels. Pioneers of a new sport called ‘liquid mountaineering’ may be giving Jesus a run for his money…literally. 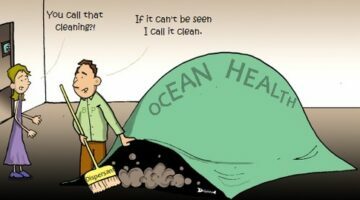 This cartoon makes you wonder if an oil company should really be expected to adequately handle their own oil spills. Yikes. Round Up: Aren’t You Glad Companies That Made WMD’s Also Produce Weed Killer? Want to do your part to save some water and the planet? Grab your significant other or attractive stranger and shower together. This Grist.org video shows you just how to choke the life out of a narrow minded climate skeptic…because what else are you going to do with them? SNL does a twisted and funny rendition on what any good tree hugging couple might experience in a Toyota Prius with acceleration issues. Awesome video of a Chinese man using his bike as an airborne weapon when he hurled it at 2 thieves trying to get away with a purse snatching. The Green Police are on the lookout for plastic water bottle drinkers, non-composters, and gas guzzler drivers…at least during this year’s Super Bowl. Good thing the Audi A3 TDI is safe, as it earned 2010’s Green Car of the Year award. Who needs to spend thousands of dollars for solar panels? All you need is to do is attach the $9.99 HydroWOW to your faucet, leave the water running all day, and you’ll be generating your own hydro-power in no time! What’s Your Favorite Green-Themed Video? 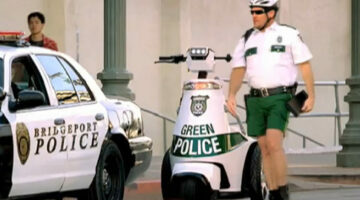 Just a taste of some of the most viral (and soon-to-be viral) videos of the green movement. 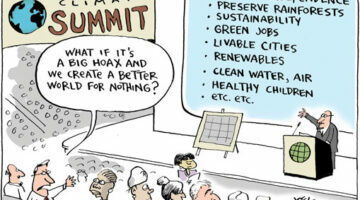 Cartoon: Would Being More Eco-Responsible Matter If Climate Change Were a Hoax? A funny cartoon showing how whether or not global warming were a hoax or not, increased environmental responsibility is always a good thing. 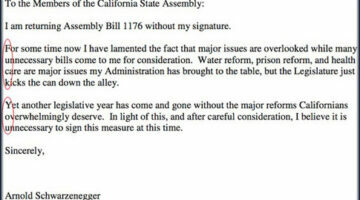 The Governator says ‘eff you’ to the California state legislature in a secret coded message. Priceless! Is The Planet Fighting Against Our Fight Against Climate Change? The planet may very well be fighting against our fight against climate change. What is its primary weapons? TREES!